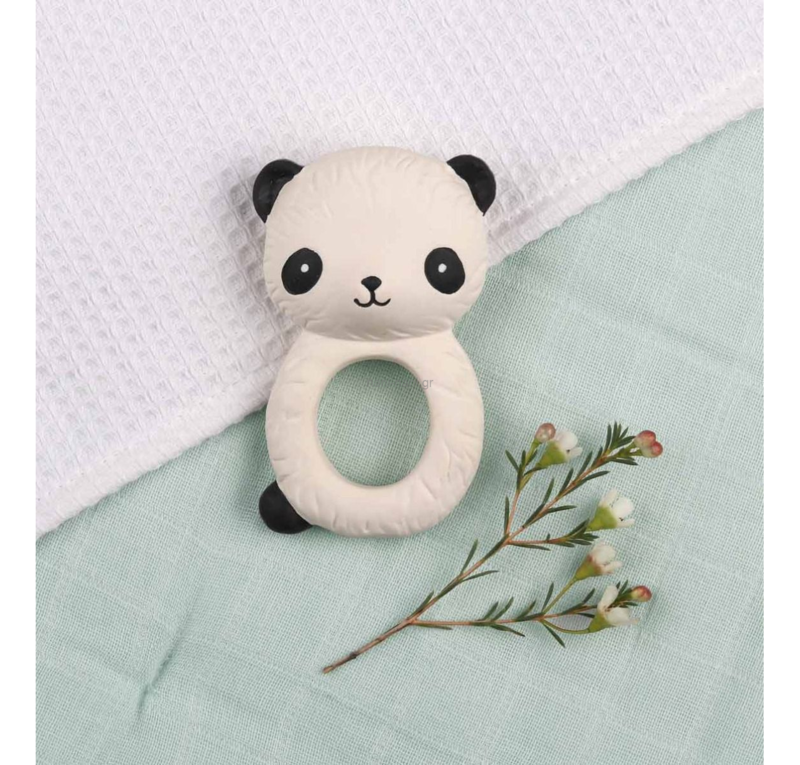 Are the first teeth of your baby coming through? 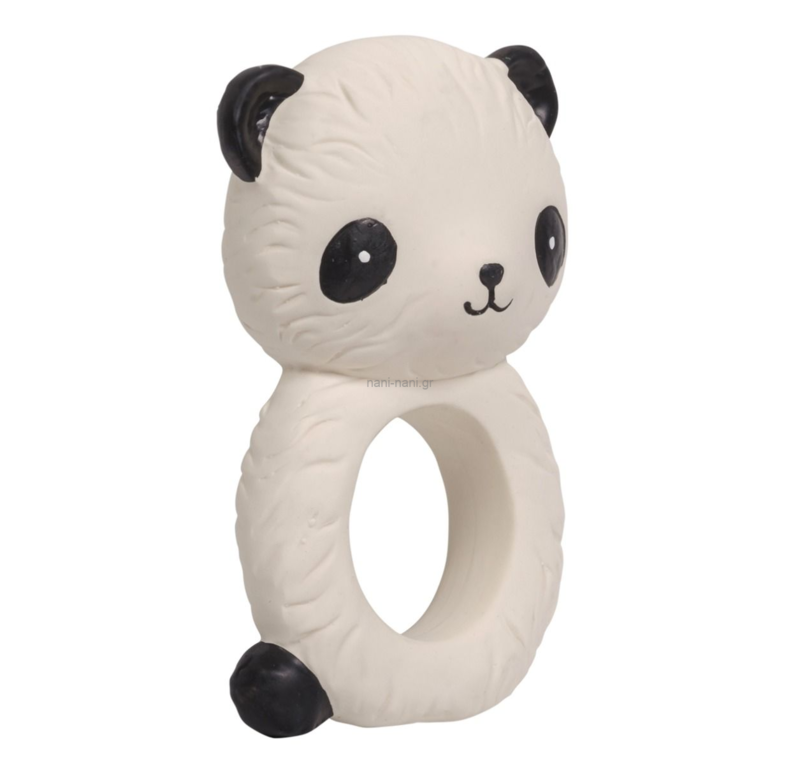 Then this panda teething ring is an ideal little friend. 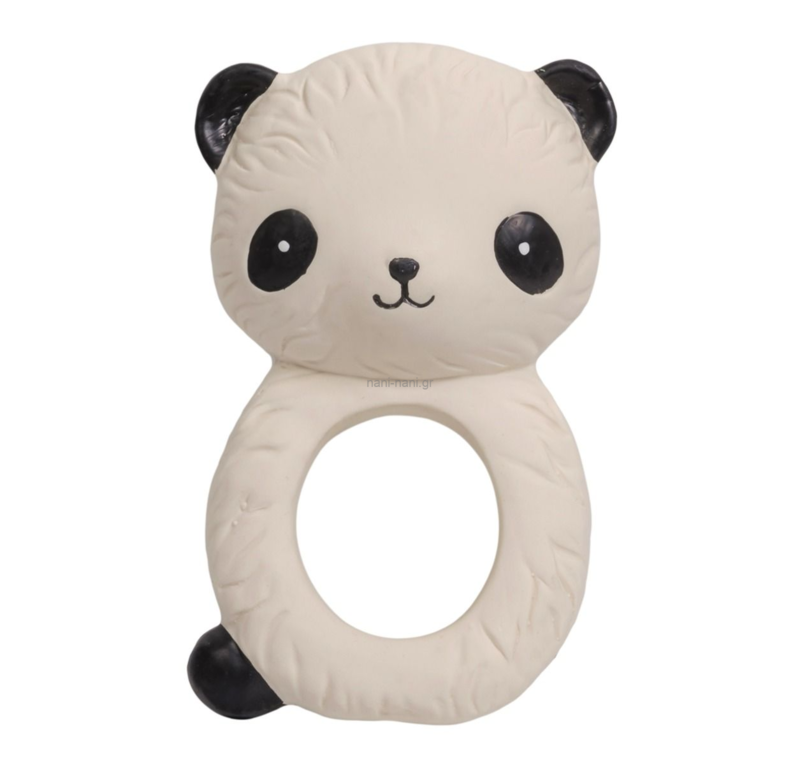 The teething ring does not contain harmful substances, is made of 100% natural rubber from the Hevea rubber tree and has a subtle scent. 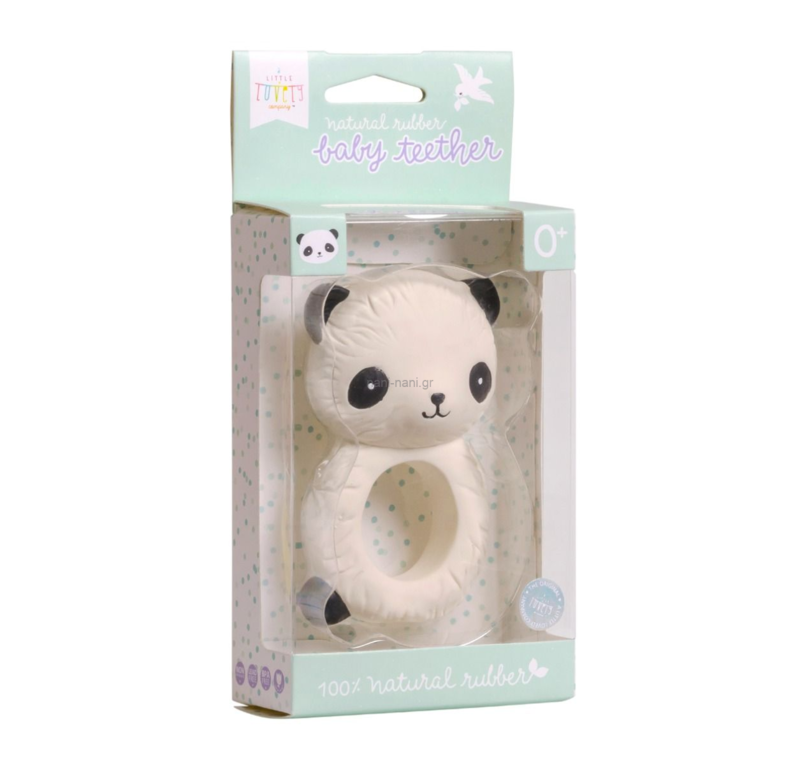 Perfect for every little one who experiences discomfort from teething. The panda teething ring is sold in a lovely gift box and is really fun to give away as a gift to a brand new mom.